Video created by Dylan Wiehahn (www.palatevm.com) Music - An original composition by Ben TD (www.openswimmer.com) and 'Reflections' by Western Skies Motel (www.soundcloud.com/westernskiesmotel). A big thank you to everyone for sharing your stories. The donate button is currently disabled. Australia is currently one of only two countries globally with a blanket ban on the sale of raw cow's milk for human consumption. 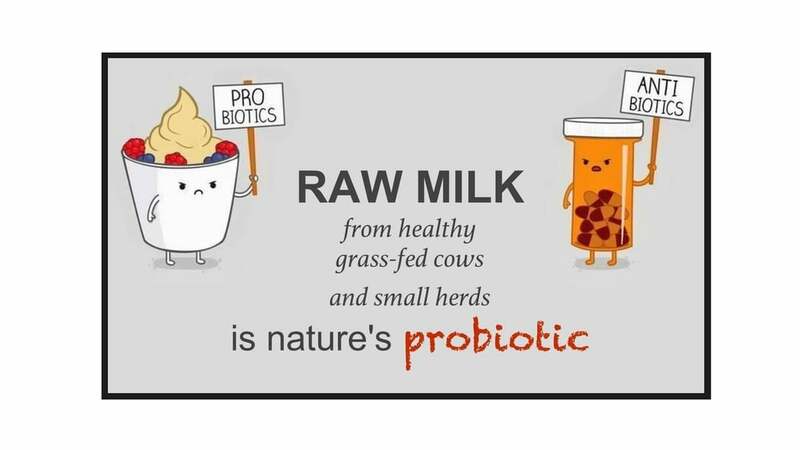 All other countries allow raw milk to be supplied for human consumption, usually in conjunction with appropriate regulatory regimes that ensure the raw milk does not pose safety risks to those who choose to consume it. Such regulatory regimes have been introduced across Europe, many US states, and even in New Zealand. They have demonstrated that legislation governing the way cows are managed, and how raw milk is produced, packed, tested and transported can ensure a safe, low risk raw product. ARMM volunteers have spent the last year advocating for raw milk legislative change. We hosted key events to inform, inspire and educate our supporters and the public. Microbiologist Dr. Kristian Ronacher and Mark McAfee, a leader and pioneer in the raw milk industry, spoke at our educational events. 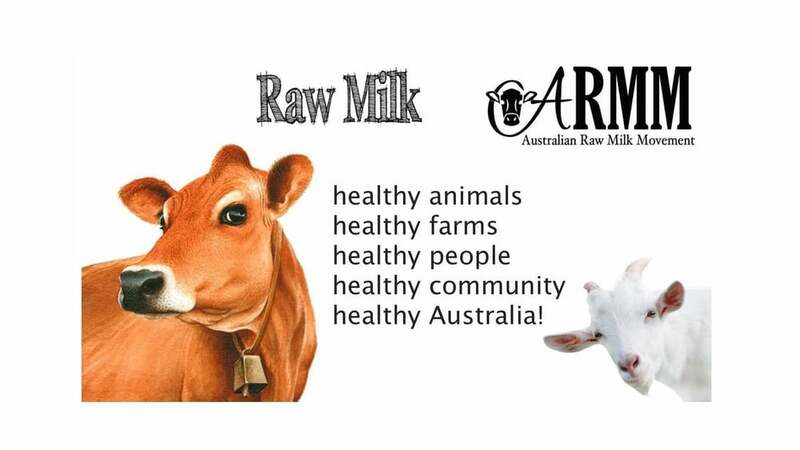 Well known Australian Raw Milk Producers Reg Matthews, Simon Schulz, Tyrone Brown and Swampy Marsh have publicly spoken at ARMM events. 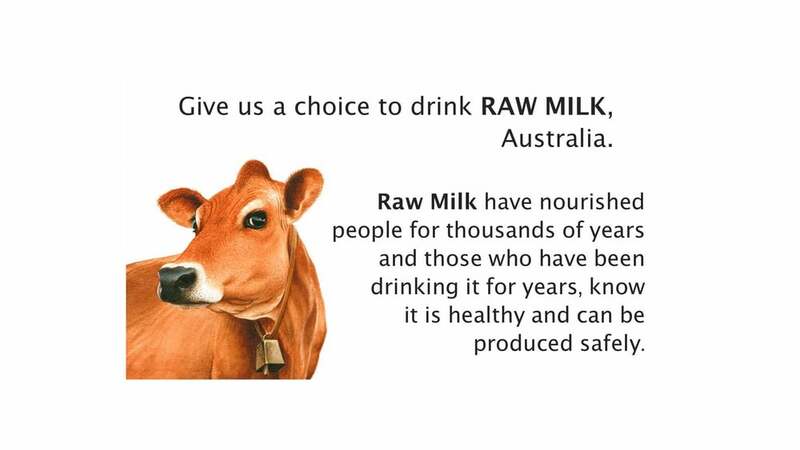 Public figures like Joel Salatin, Tammi Jonas, Cyndi O'Meara, Joost Bakker, Vicki Jones, Madelaine Scott and Lisa Heenan, have all spoken in support of raw milk in Australia. And our president Rebecca Freer, the ARMM committee and our volunteer team have done an amazing job donating their time and skills. Our supporters have also been very supportive. All of the events and activities are documented on our website and Facebook Page. As you can see there are many people who are passionate and dedicated to raw milk, who have shown their enthusiasm and commitment. But we have reached the point where social media and the internet cannot take ARMM any further. We need funding to move forward. In July 2015, ARMM successfully crowdfunded $15 000 for the Miranda Dale Legal Fund for legal support. We hope that future funds will enable us to take on more projects to bring us closer to legal, unrestricted access to regulated raw milk for human consumption. Please contribute via our secure online payment system. we have educational resources such as video clips of events, interviews, news articles, testimonials, Facebook, Twitter, YouTube, newsletters. These have all been in place for a long time.